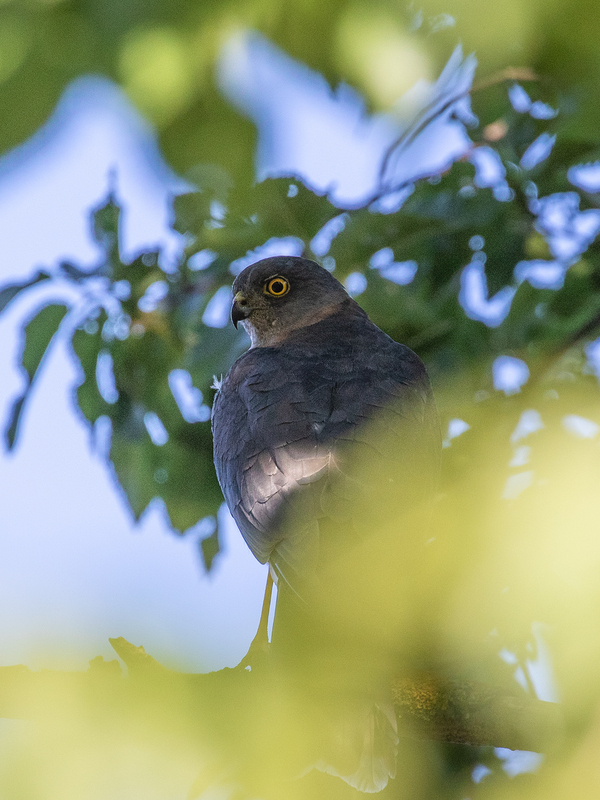 I was pleasantly surprised last weekend to hear a familiar call in the garden at home. 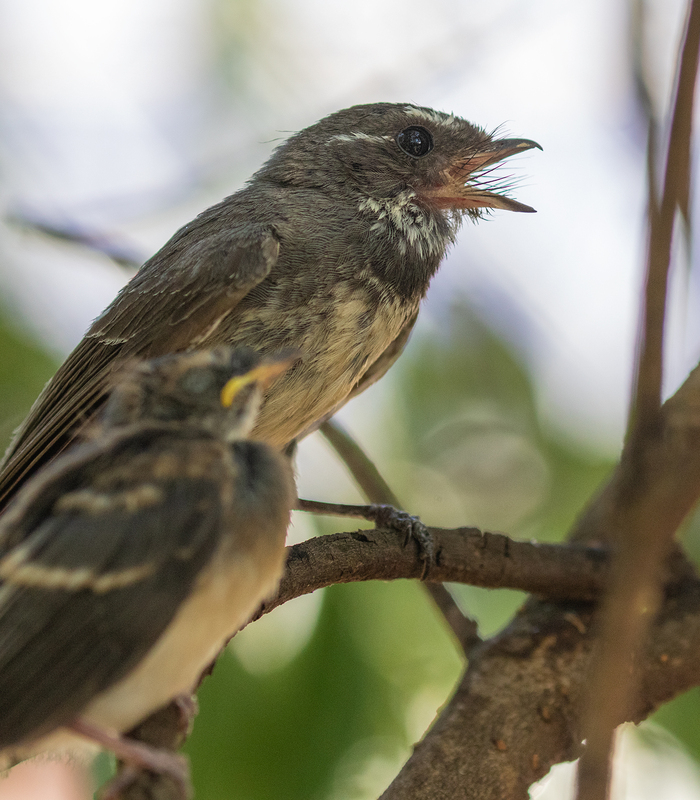 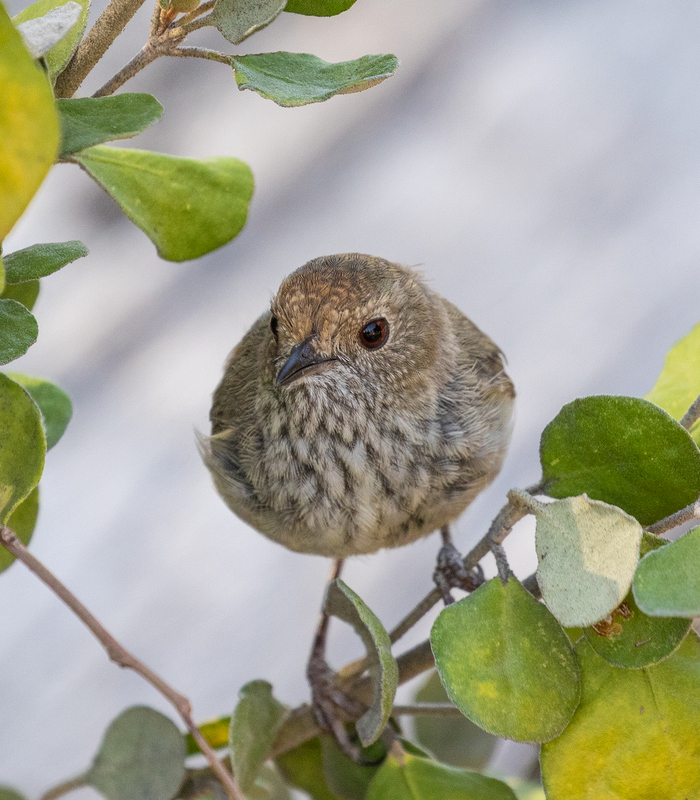 A small party of Brown Thornbills had arrived to forage in the shrubs outside our back-door, perhaps attracted by the water baths nearby. 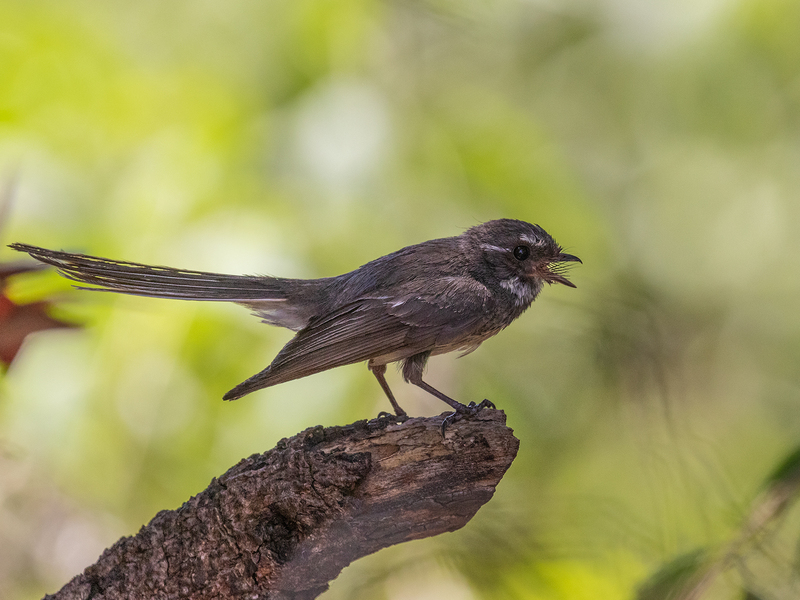 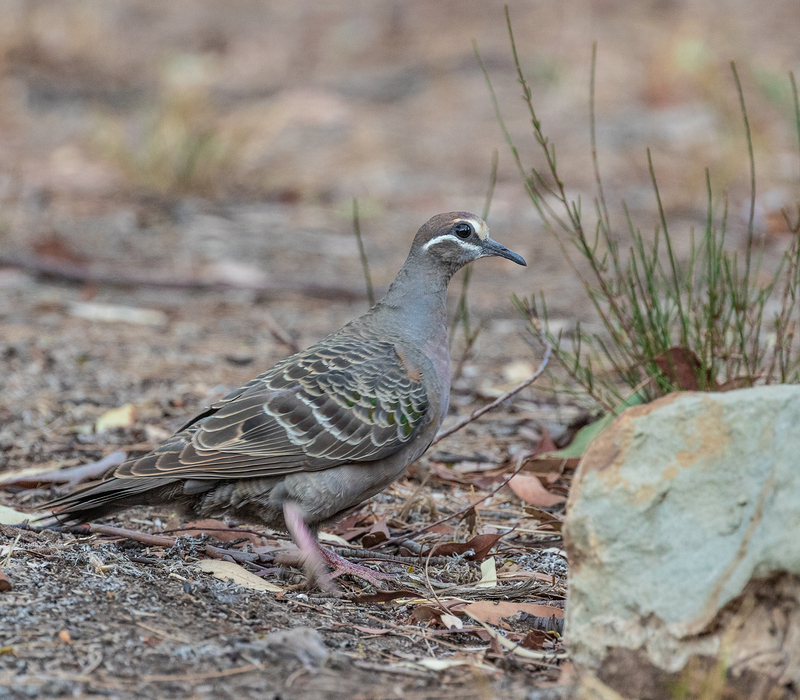 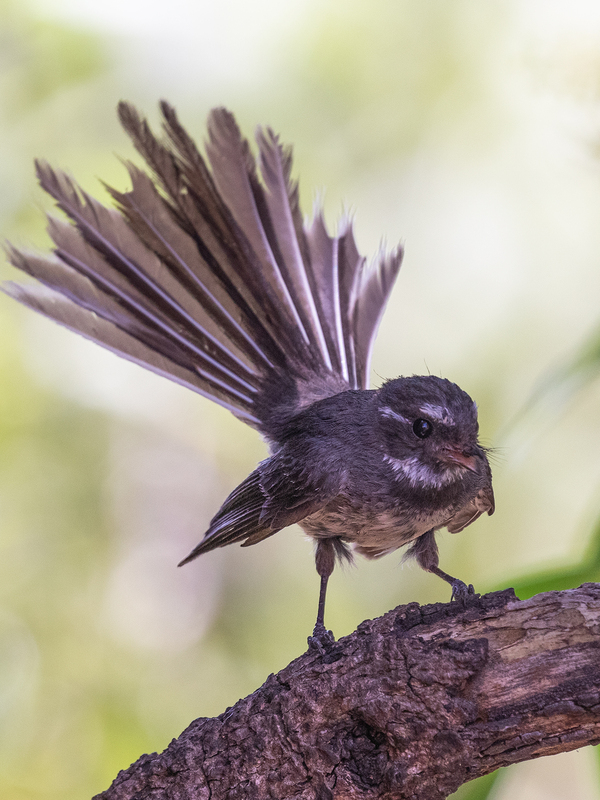 For me, this was a notable sighting, as I’ve barely heard a Brown Thornbill in the bush over summer. 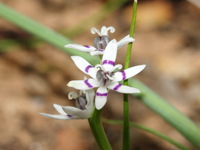 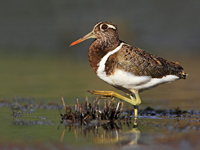 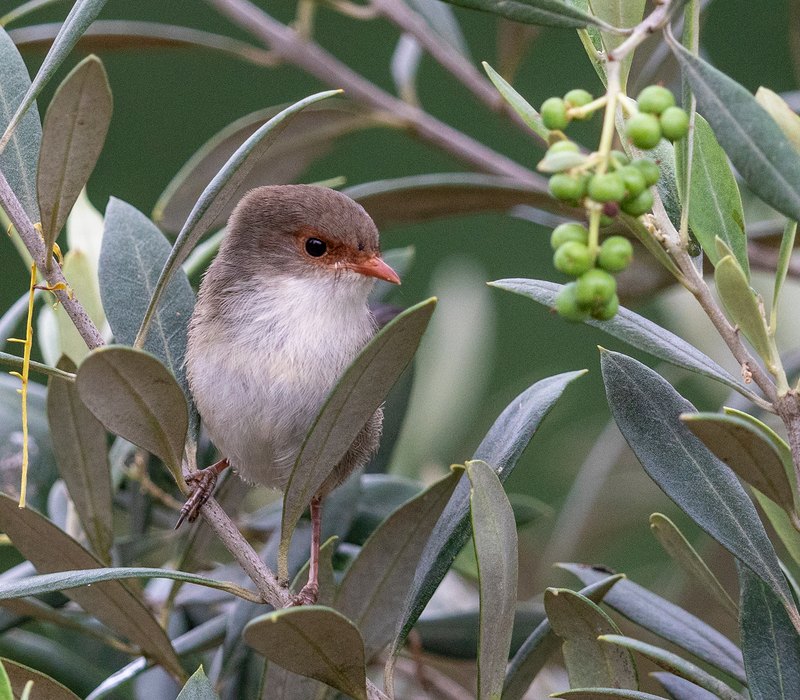 Local gardens play a vital role as a refuge for woodland bird species in times of landscape stress. 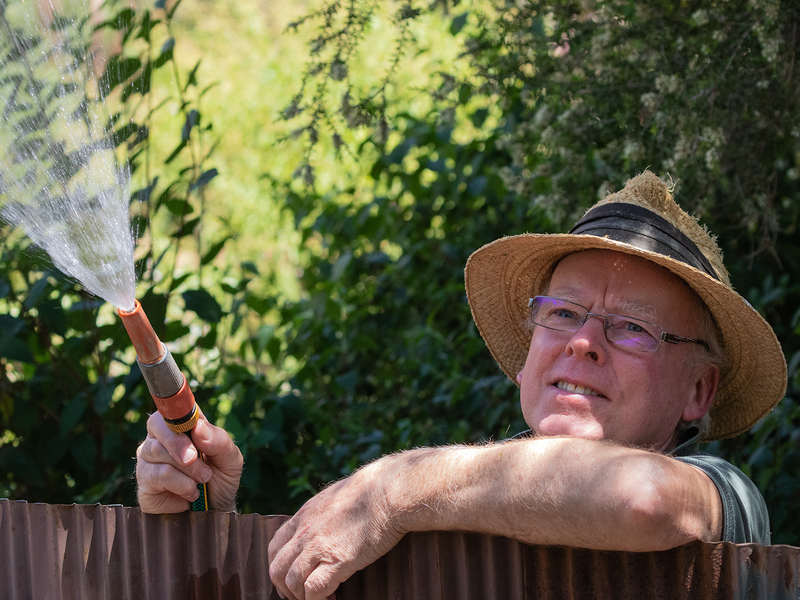 It has been a dry, hot summer with a succession of cloudless days. 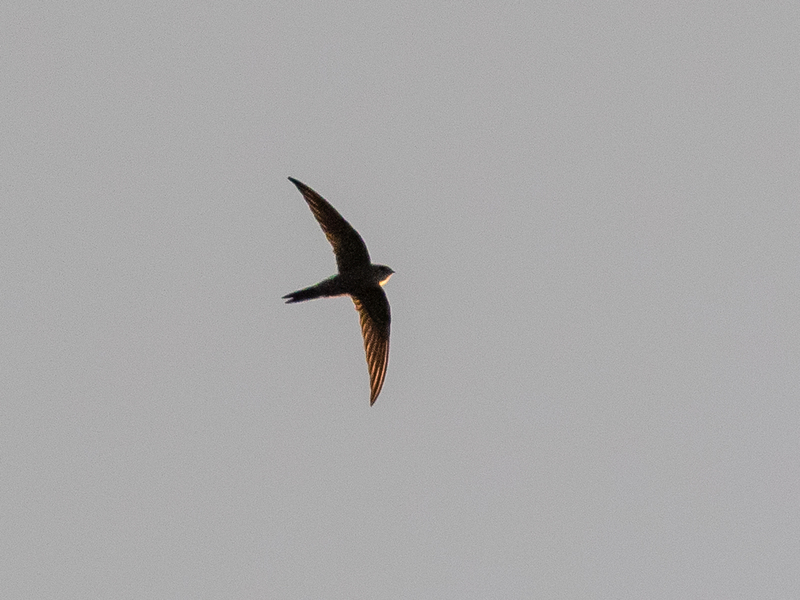 I’ve been hoping for the occasional storm-front, not just for the rain it might bring, but also for the prospect of swifts. 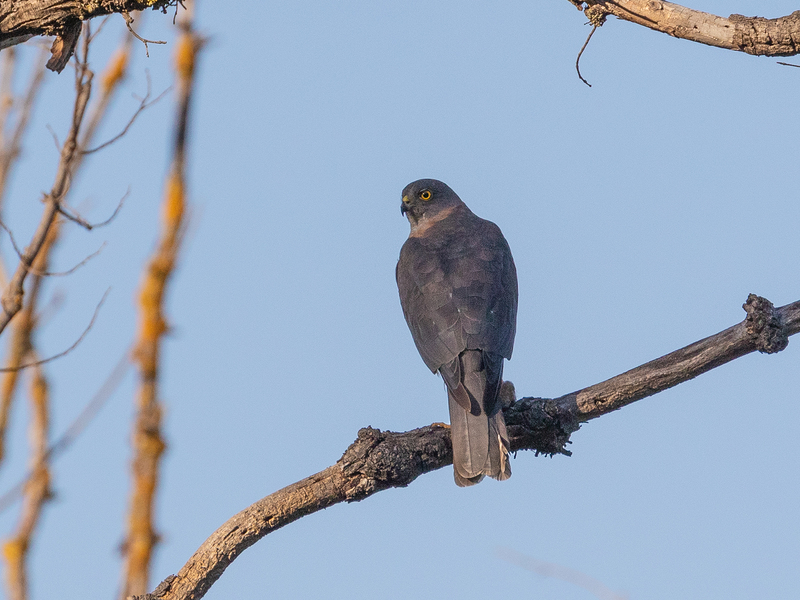 Each summer and into the autumn you are likely to see two species of swifts in south-eastern Australia, White-throated Needletails (aka Spine-tailed Swift) and the smaller Fork-tailed (or Pacific) Swift. 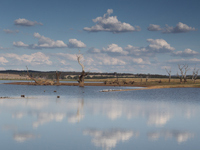 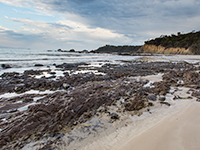 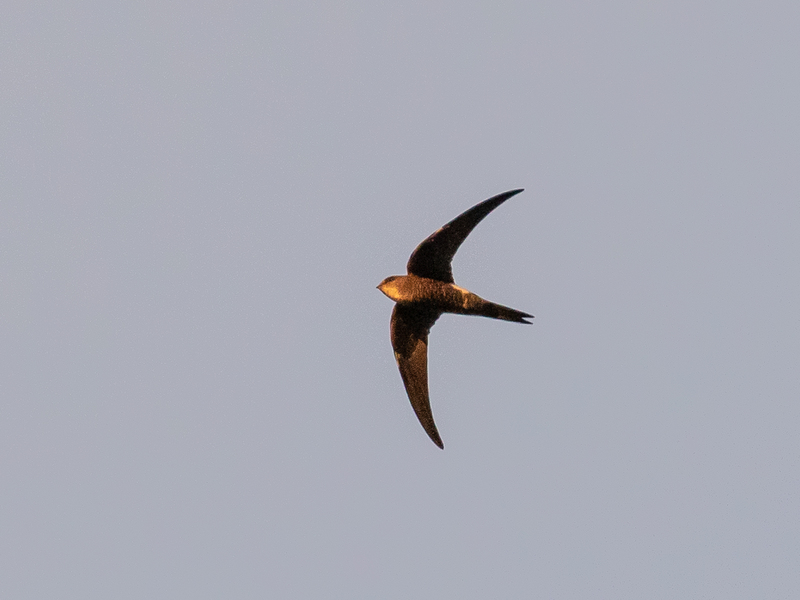 Last weekend, just before dusk, a dry thunderstorm passed through Newstead with a handful of Fork-tailed Swifts riding the warm air accompanying the clouds. 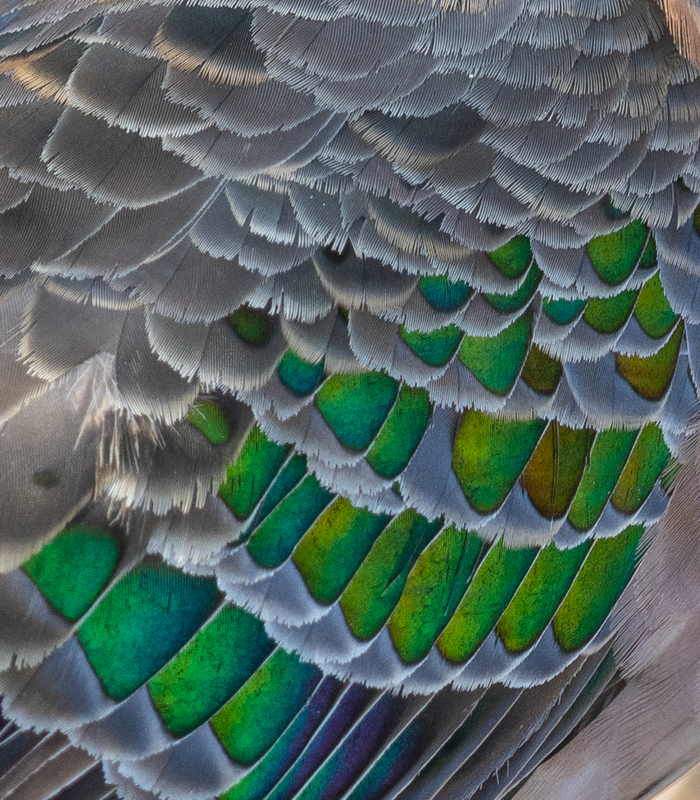 On this occasion there were no ‘needletails’ amongst the flock, as is often the case. 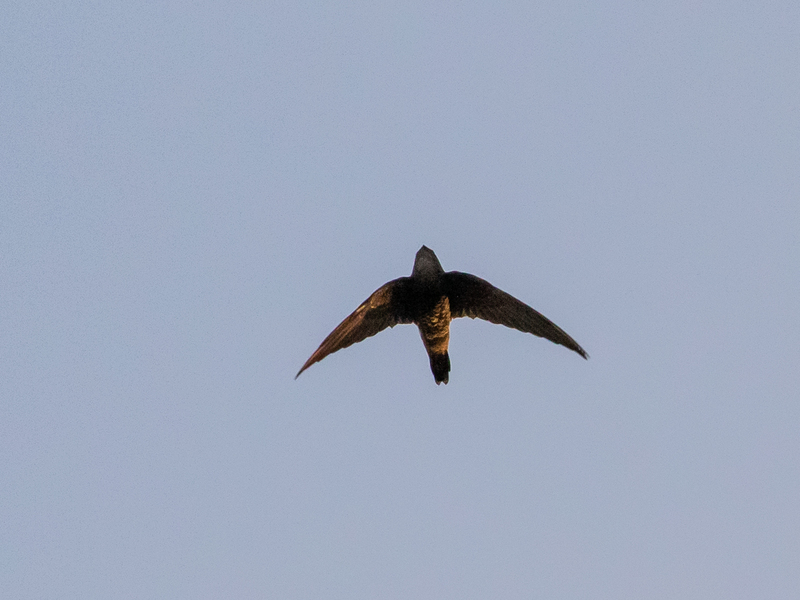 I watched in awe as they sped through the air overhead and then they were gone as soon as they had appeared. 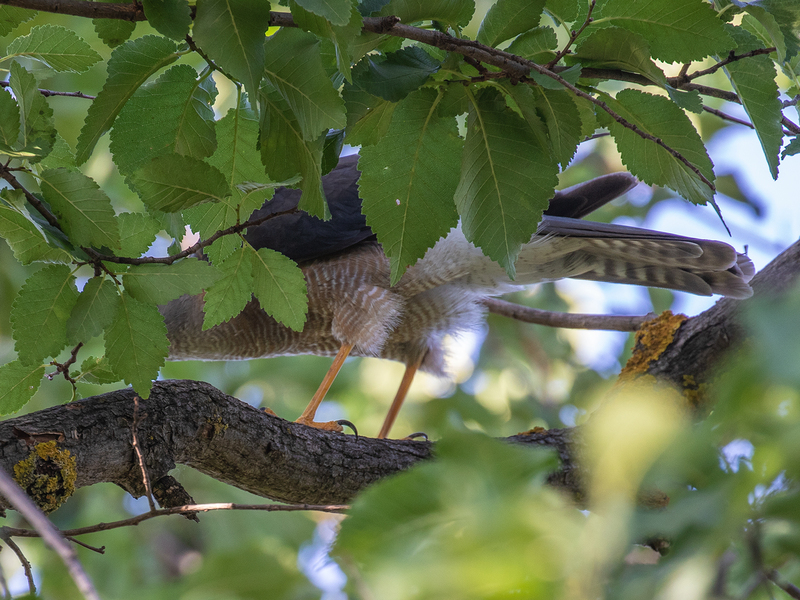 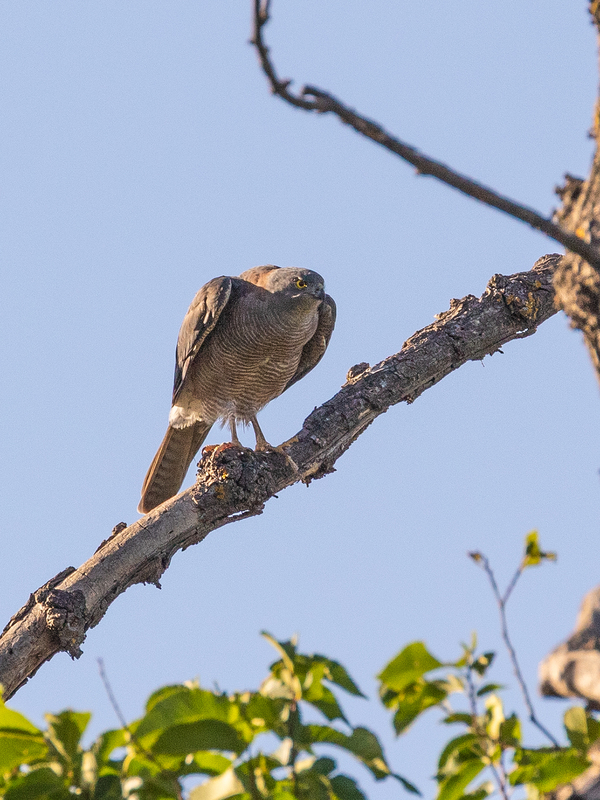 The Mulberry tree in our yard is a boon for various species of birds at this time of year. 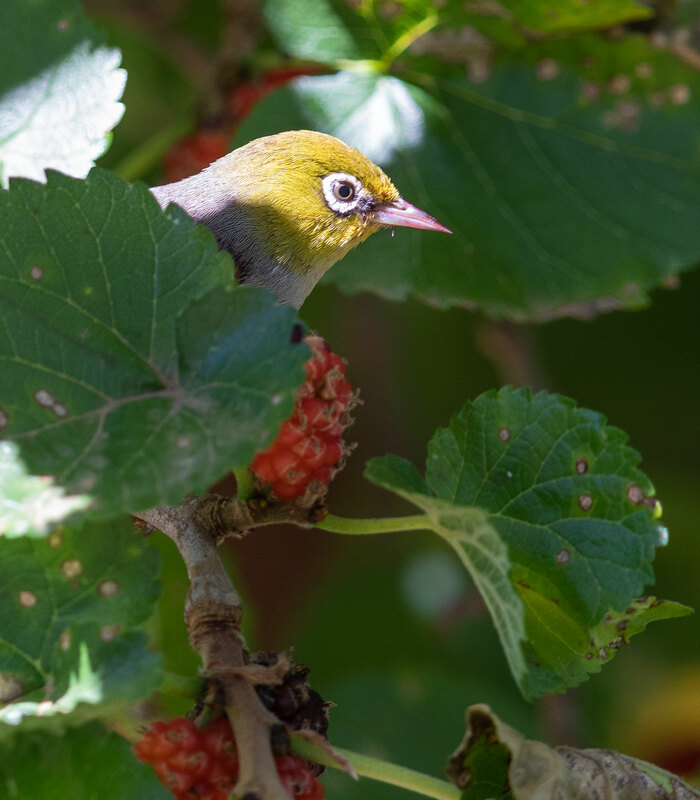 Frustratingly it draws Blackbirds from far and wide, but Silvereyes are a more welcome sight as they arrive in small groups to feast on the ripening fruit. 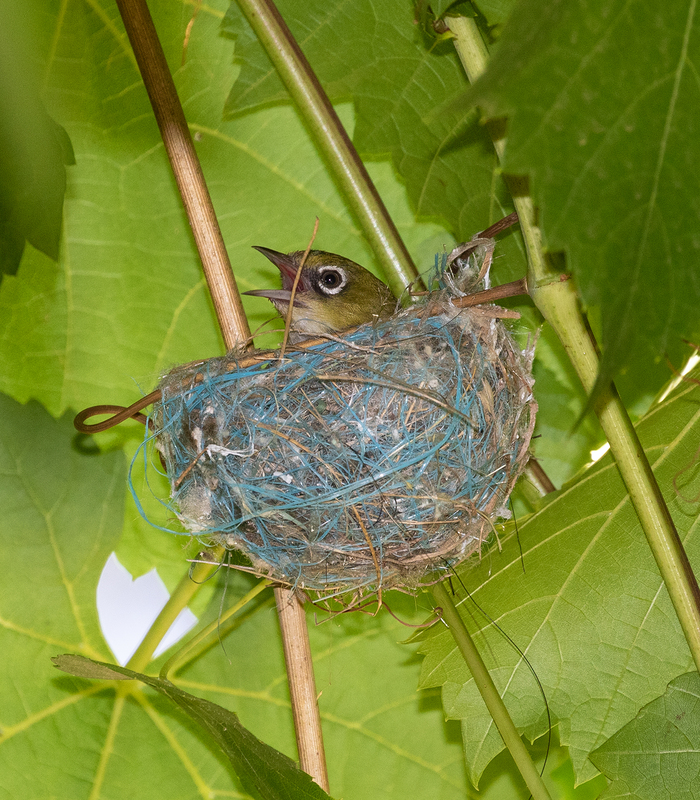 A pair of Silvereyes is nesting at present under the canopy of a grapevine next door. 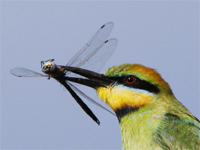 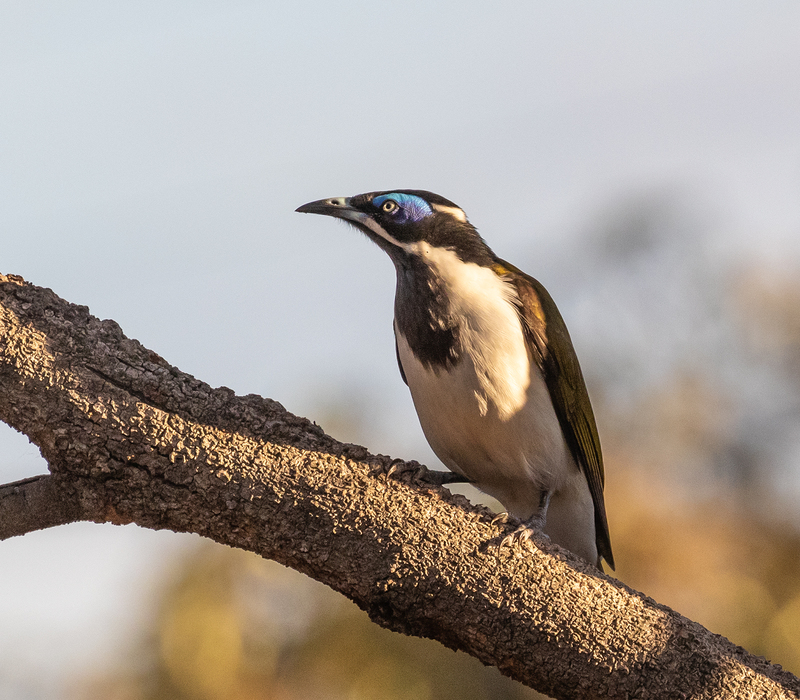 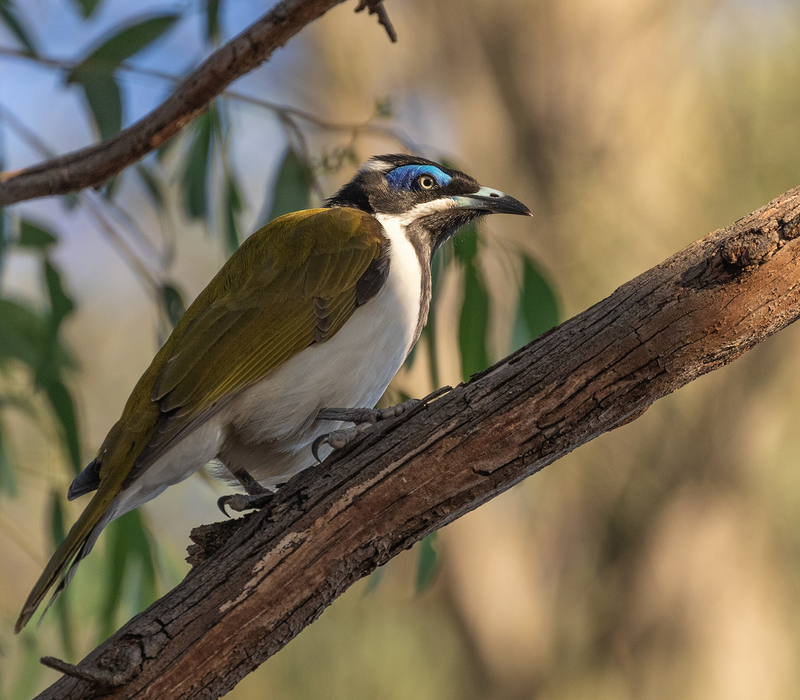 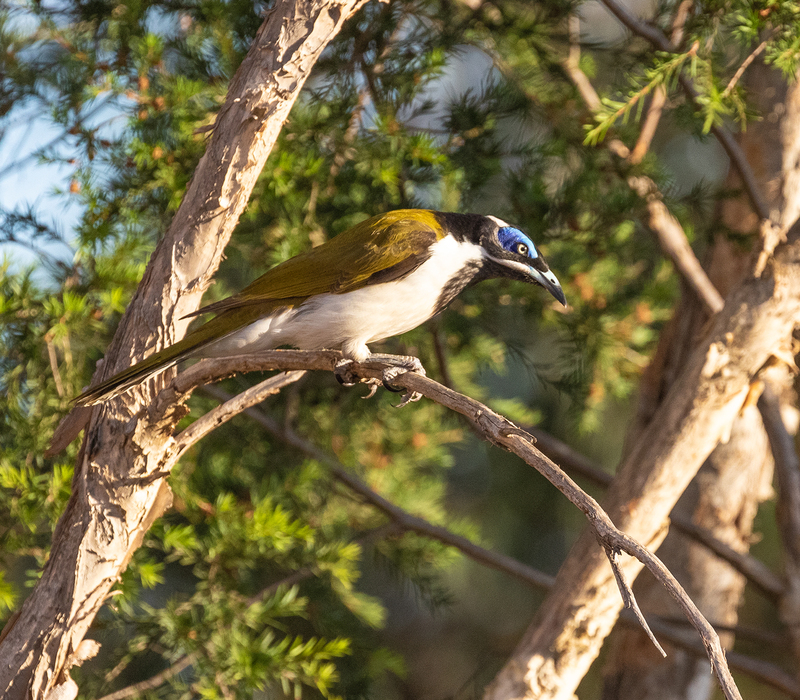 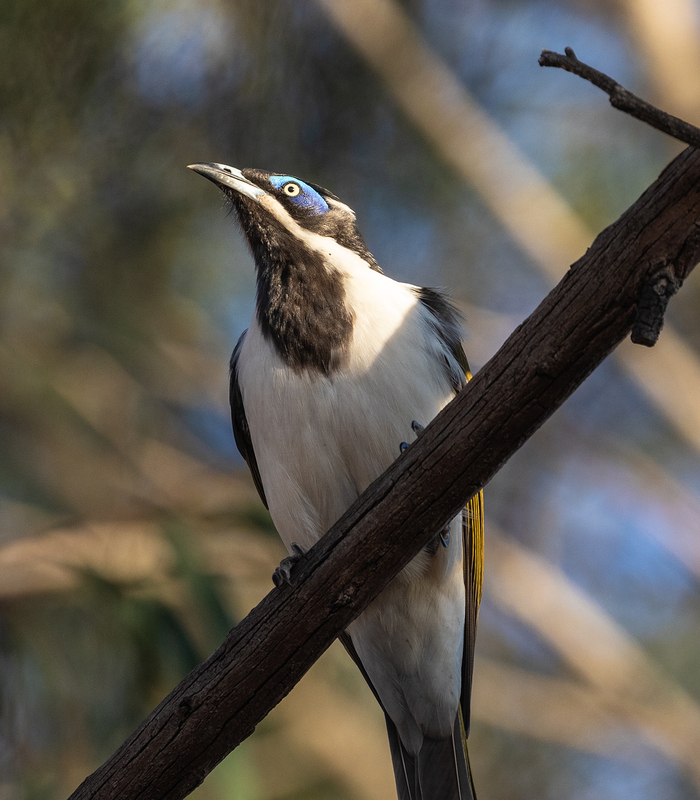 Many birds will synchronise their breeding with food availability and the Silvereyes have adapted well to the summer treats on offer in local gardens. 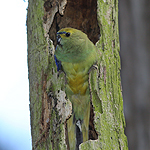 While the grapevine shaded nest site is a good option the sitting bird still needed to cool itself during short bursts of incubation. 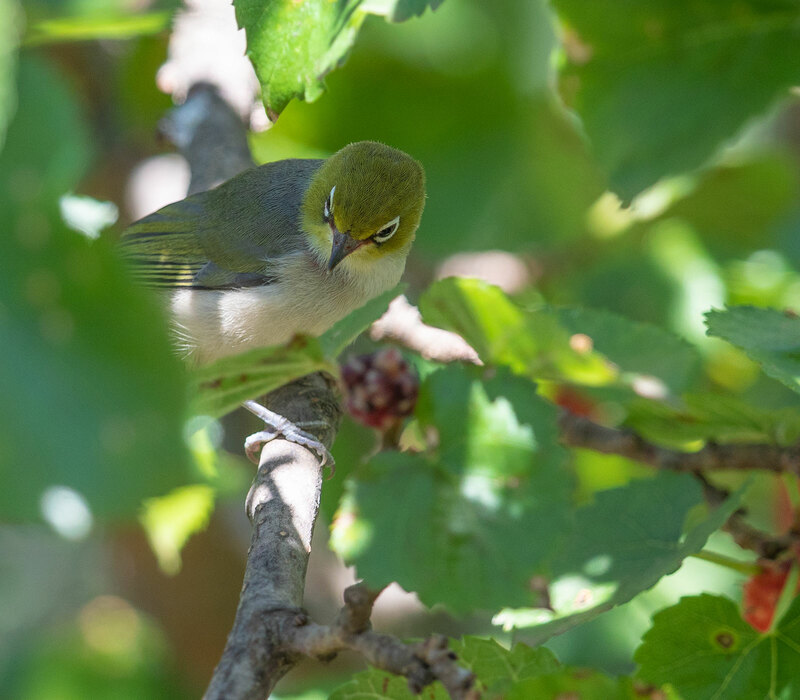 Silvereye incubating … and keeping cool! 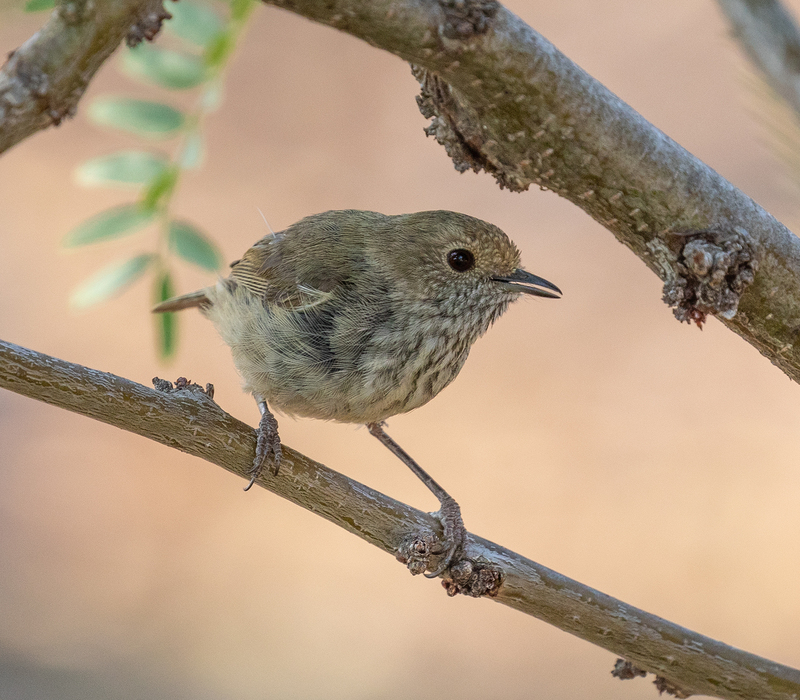 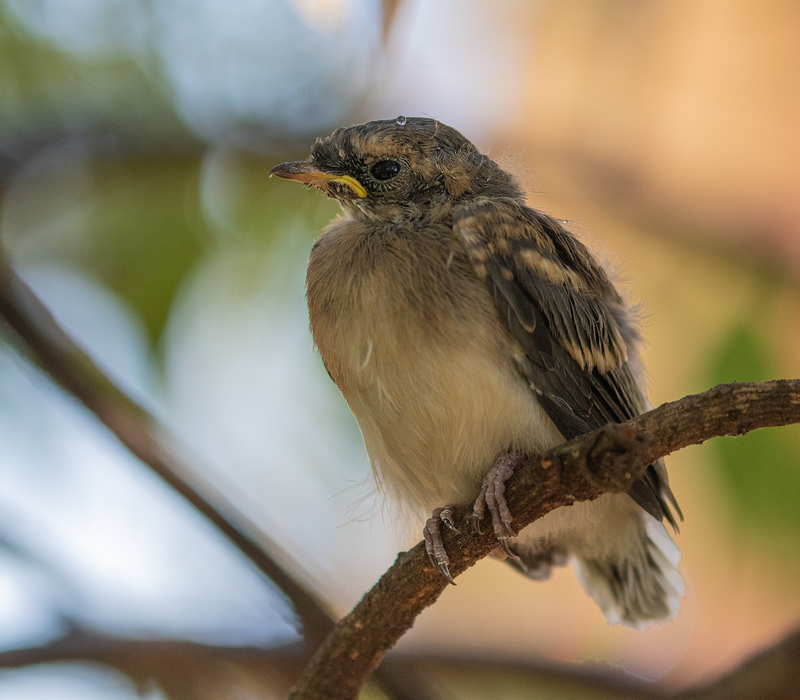 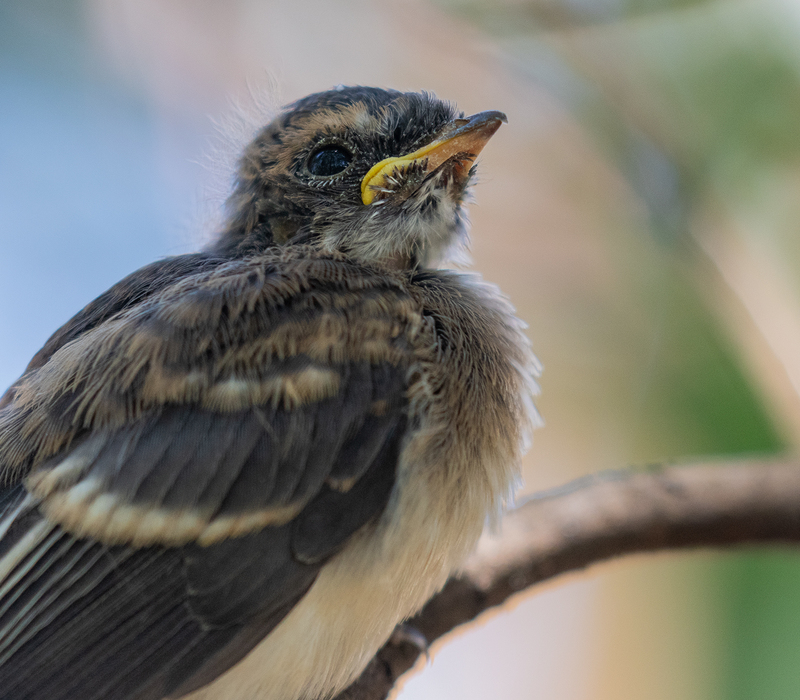 After a week away … and no escape from the blistering heat, I was interested to see how the birds in the home garden are faring. 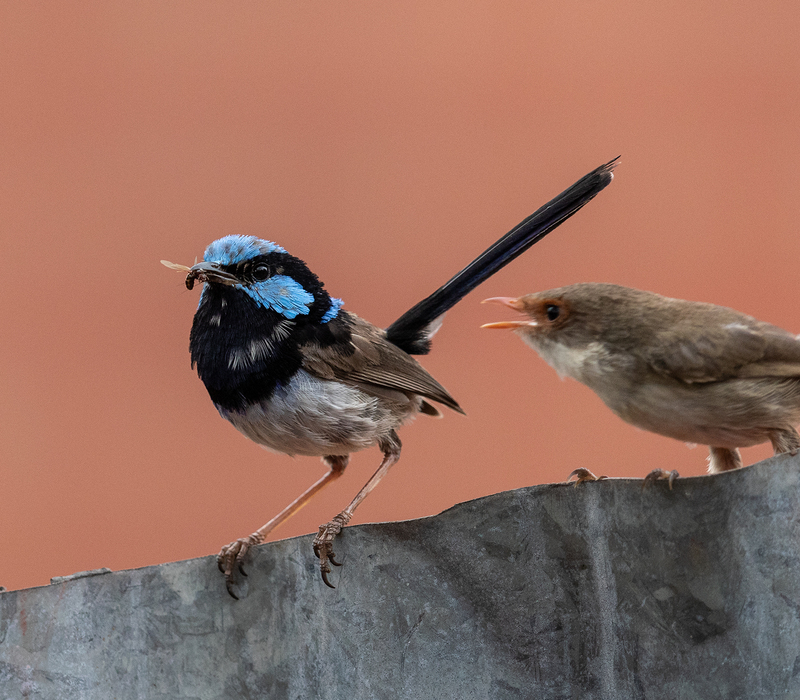 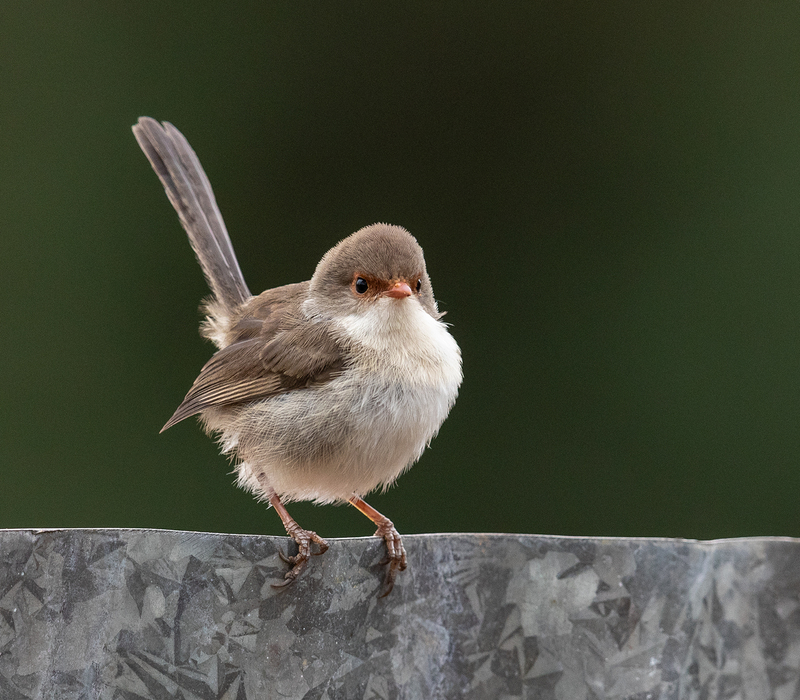 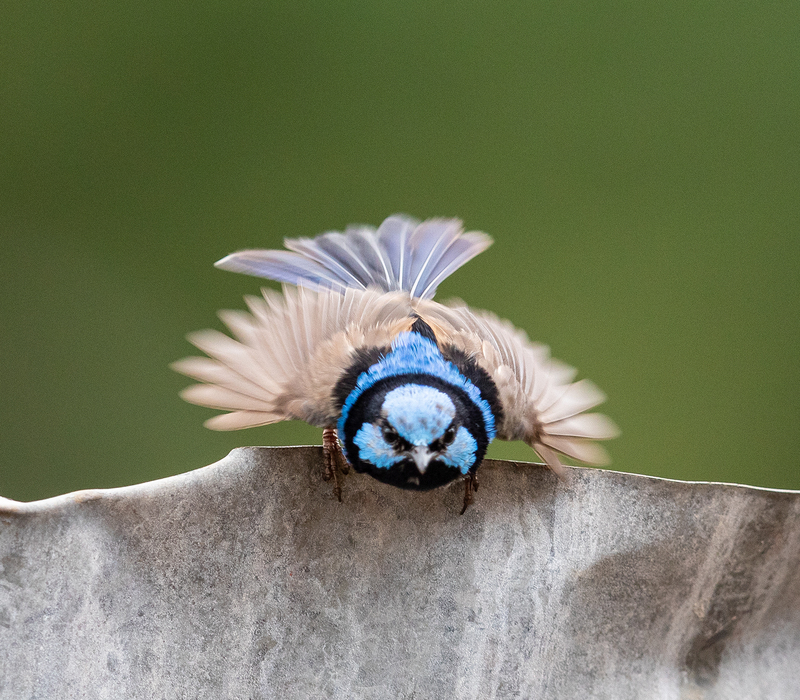 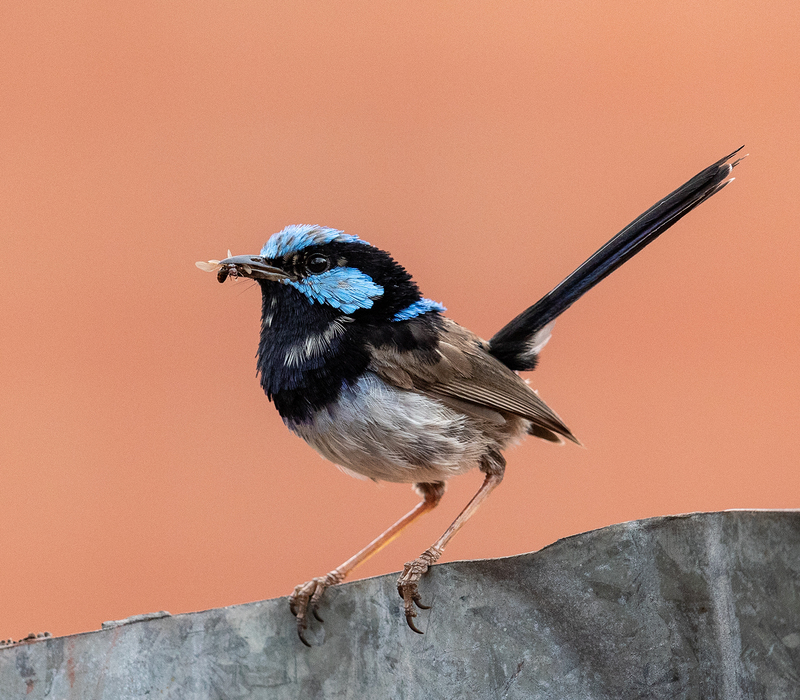 Our family of Superb Fairy-wrens have had some success with breeding and thankfully managed to coax at least two youngsters through the relentless heat. 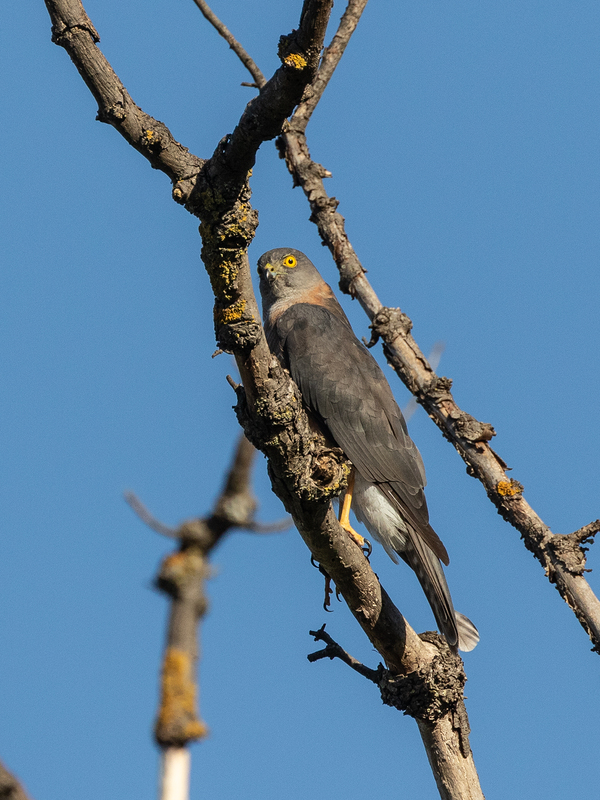 The male looks like it’s moulting into a partial eclipse plumage.